The Vancouver North East Chiefs will head to Nanaimo this weekend to take on the North Island Silvertips in BC Major Midget League action. The Chiefs are currently sitting in 2nd place in the league and want to finish 1st to solidify home ice advantage through the post season. “It is a big weekend coming up, we need these 4 points to try and get home ice advantage in the playoffs. We need to play more as a team and not let little things get to our heads, move pucks quick, no blind pucks, and always be first to pucks. I think that is something we really need to implement in our game to be successful”. Game times in Nanaimo are scheduled for 6:45 tomorrow night and 8 AM Sunday Morning. In WHL action tonight, the Regina Pats will be hosting the Edmonton Oil Kings. The Pats will not make the playoffs this season, however, the mindset in the dressing room is still positive. Forward Ty Kolle says there are always little things to work on, no matter where the team sits in the standings. “We have our own goals. Every game we try to work hard and pay attention to detail and we have small little goals that we look forward to, regardless of the score, we just try to do our best. Sometimes we play really good teams like we are tonight and regardless of the score we just want to play a good hard game and give them a challenge”. Puck drop in Regina is scheduled for 6:00 pacific time. The Pats will have a stiff test tomorrow as well as they head to Moose Jaw to take on the Warriors. Tonight marks opening night of the PJHL playoffs. The top seeded North Vancouver Wolfpack will host the Ridge Meadows Flames in a best of 7 series in the opening round. “We have a strong team, we have acquired some guys from other leagues, so we got a solid team going into the playoffs. I am expecting big things from us, so hopefully we get a W tonight and hope we can go all the way to the league finals”. The Wolfpack’s last game of the season was against the Flames where the Pack finished with a 3-1 victory. Puck drop tonight is scheduled for 7:30 at Planet Ice in Maple Ridge. It has been a few weeks since the West Kelowna Warriors have named Brandon West the team’s new head coach and General manager. West is very familiar with the BC Hockey League coaching in different cities such as Penticton and Surrey. NEWS: The Warriors have named @BrandoWest Head Coach & General Manager. West is a native of Kelowna and a former Assistant Coach of the Warriors. Welcome Home Brandon! West and the Warriors currently sit 6th in the Interior Division. Despite West Kelowna winning just one in their last five games, West knows what his club is capable of. West knew coming in, that the Warriors have a talented bunch. “I like what we have here. I have watched this team for the past couple years being built and I am excited to work with this group right now”. The Warriors are led by Mike Hardman and Chase Dubois who are first and second in points this season for West Kelowna. The Warriors are in action tomorrow night against the Prince George Spruce Kings. The BCHL playoffs also will be kicking off at the beginning of March. The Prince George Cougars are in a bit of a hole. The Cats are currently on a 13 game losing skid. They also recently fired their head coach Richard Matvichuk last week. Cougars GM Mark Lamb is now behind the bench for the rest of the season along with former PG Cougar and director of player development Nick Drazenovic who will serve as the assistant coach. Although, it is has been a tough time lately for the Cougars, forward Reid Perepeluk is trying to keep a positive mindset in his club’s dressing room. The Cougars next match up is this weekend against the Victoria Royals to kick off a 4 game home stand. We’re back home Friday against @victoriaroyals for Alumni Night, sponsored by @HomeDepotCanada! The Cats have won just one game in the 5 meeting with the Royals this year. 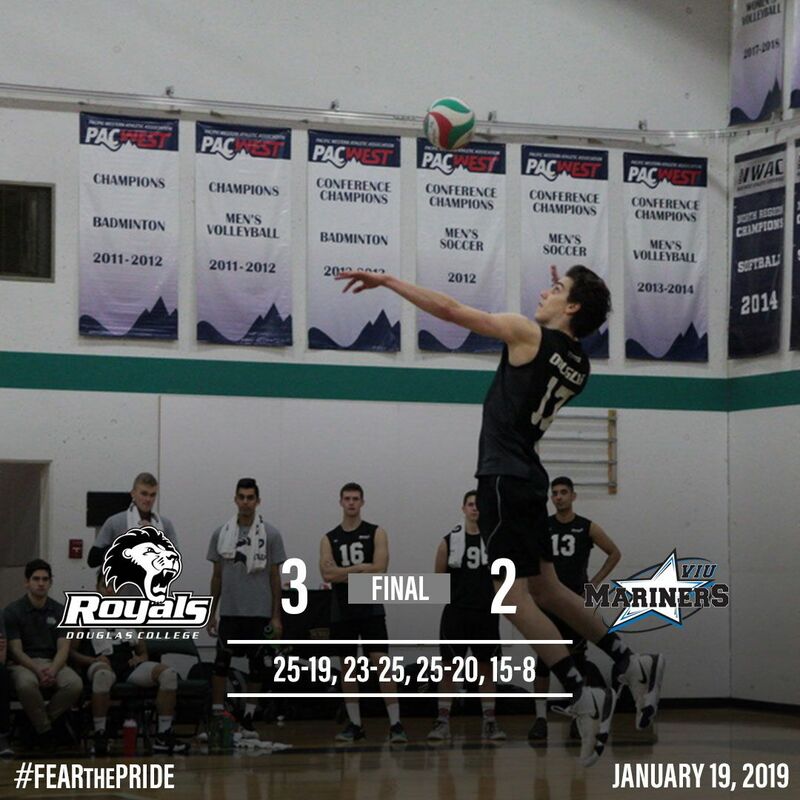 The PacWest Volleyball season is coming to a close in just over a month and Douglas College so far is the team to beat. The Men’s team currently sits 15-3 and ranked around the top in the country. Royals 2nd year Libero Nick Hansen says everyone has bought in and knows what they need to do to become national champions. The Royals next game is scheduled for this Friday at home against Columbia Bible College. A full schedule is available here. 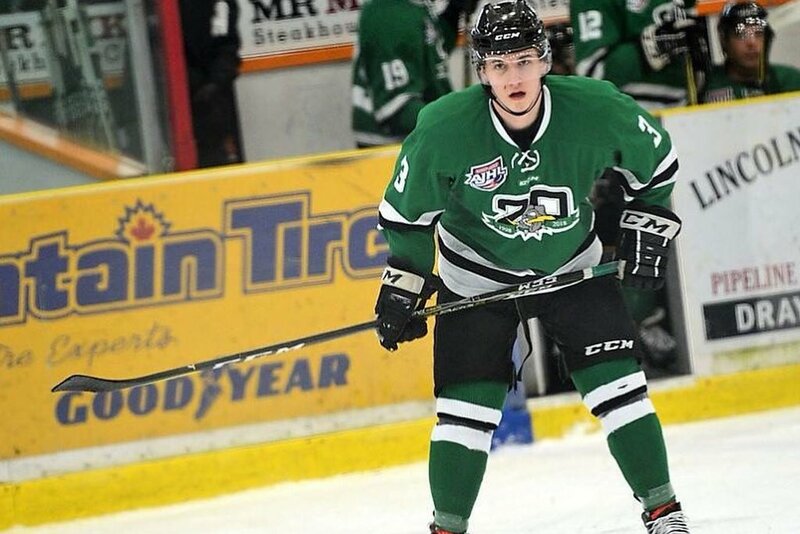 Swift Current Broncos forward Ethan O’Rourke has found his spot. The forward from Penticton has been through a couple teams in his WHL career but is finding his stride in Swift. O’Rourke has 15 points in 46 games this year playing an important role on the team. “Players like Cody Glass who will be in the NHL soon and Brett Leason who I play against quite a bit who seems to be finding his stride as well. I’m hoping I can put myself in a spot where I can be at that same level”. 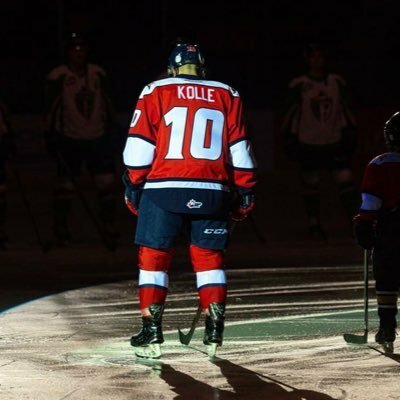 The 19 year old has one year left of Western Hockey League eligibility. Alberta Junior Hockey Player Jesse Pomeroy is committed. The Drayton Valley Thunder defenceman has signed on the dotted to line to play NCAA Divison 1 hockey at Niagara. Along with his strong play on the ice, the future purple eagle got it done in the classroom as well, scoring an impressive grade on his SAT. Pomeroy says it was a quick process to commit to a division 1 university. “On January 1st, they talked to me about a fly down, and then I went down January 21st and they showed me the campus, the rink, and all that stuff. Then they offered me the scholarship just before I flew back home”. Pomeroy currently has 13 points in 43 games this season with the Thunder. For Evolution 1079 sports, I’m Cole Waldie. A junior hockey player in the KIJHL by the name of Myles Matilla is doing something special. Over the past few years, Matilla has made a website for mental health for athletes. Matilla’s goal is to put people in the right direction. Visit mindright.info for more information. Former West Kelowna Warrior and current University of New Hampshire forward Liam Blackburn is having a season to remember. The RBC cup champion has 24 points in 24 games, which leads the team. Blackburn thinks the atmosphere around the college hockey scene is an attribute to his success. “The fans are crazy here. We get around 6,000 fans per night and the student section here also spends the entire game on their feet. They do not sit down, so it is pretty cool”. 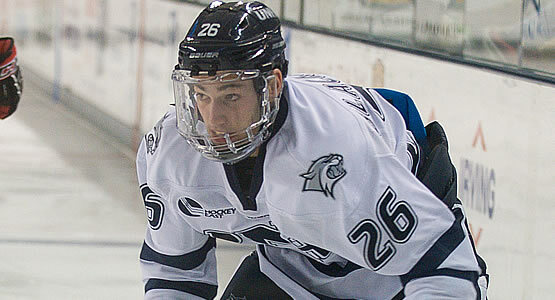 Blackburn looks to continue his historic season Friday night against Maine. For Evolution 107.9 Sports, I’m Cole Waldie.